The M200 Fall Monitoring System is STANLEY Healthcare’s newest and most advanced fall monitoring solution. From the Classic-Check® to the Model Vr, Bed-Check® monitors are a key part of STANLEY Healthcare’s Fall Management solutions. Bed-Check is deployed in thousands of healthcare facilities for their fall monitoring needs. The Chair-Check II control unit is used in conjunction with a Bed-Check® Sensormat® pad as a system to effectively monitor patients at risk of falling or residents in a bed, chair, wheelchair, or on a toilet. 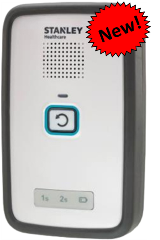 The Bed-Check Cordless Monitor is a key part of the Bed-Check Cordless Monitor system and is ideal for healthcare facilities, especially psychiatric units and rehabilitation centers, who want to maximize safety. 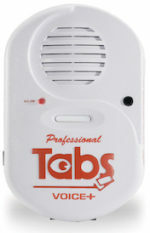 STANLEY Healthcare’s TABS Professional fall management monitor offers reliable pull-cord activation with a local sound alarm. The STANLEY Seat Belt Alarm is designed to be used on wheelchairs or bedside chairs to alert you if someone tries to exit the wheelchair or bedside chair. 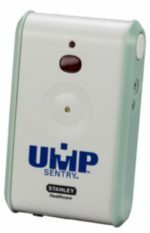 STANLEY Healthcare’s UMP Sentry fall monitoring system alerts a caregiver to the movement of a resident prone to falls. Options for pull string and pad operated.